"The National Institutes of Health (NIH), a subagency of the United States Department of Health and Human Services, produces much of the federal government's output related to health information. The National Library of Medicine (NLM) is the central organization responsible for its collection, organization, and dissemination" (Fundamentals of Government Information p. 211). YSU Database: Use name & YSU id# for off campus authentication. Department of Health & Human Services ⌨:It is the mission of HHS to enhance and protect the health and well-being of all Americans. HHS fulfills that mission by providing for effective health and human services and fostering advances in medicine, public health, and social services. ♦ HIPAA & Your Health Rights: Health Information Privacy; Civil Rights; Environmental Justice. Program; Mental Health & Addiction Insurance Help. Family Health History; The Environment & Your Health; Healthy Lifestyle. ♦ Providers & Facilities: Health Care Providers & Facilities; Resources for Caregivers. ♦ Public Health & Safety: Food Safety; Drug Safety; Medical Device Safety; Safety from Violence & Abuse. ♦ Emergency Preparedness & Response: Public Health Emergency. Administration for Children & Families ⌨: ACF promotes the economic and social well-being of families, children, individuals and communities with funding, strategic partnerships, guidance, training and technical assistance. Administration for Community Living ⌨: Mission: Maximize the independence, well-being, and health of older adults, people with disabilities across the lifespan, and their families and caregivers. The ACL was created around the fundamental principle that older adults and people with disabilities of all ages should be able to live where they choose, with the people they choose, and with the ability to participate fully in their communities. characteristics from the Census Bureau for comparison purposes. Agency for Healthcare Research & Quality ⌨: AHRQ mission is to produce evidence to make health care safer, higher quality, more accessible, equitable, and affordable, and to work within the Department of Health & Human Services and with other partners to make sure that the evidence is understood and used. ♦ U.S. Health Information Knowledgebase: Metadata registry of healthcare-related data standards funded and directed by the AHRQ. Agency for Toxic Substances & Disease Registry ⌨: ATSDR protects communities from harmful health effects related to exposure to natural and man-made hazardous substances. They do this by responding to environmental health emergencies; investigating emerging environmental health threats; conducting research on the health impacts of hazardous waste sites; and building capabilities of and providing actionable guidance to state and local health partners. ♦ Public Health Assessments & Health Consultations: By state or U.S. territory and by ATSDR regions where they originated. ♦ Toxicological Profiles: Information about contaminants found at hazardous waste sites. ♦ ToxZine: Summary of health effects, exposure, and recommendations in an easy-to-read magazine format. Centers for Disease Control & Prevention ⌨: As the nation’s health protection agency, CDC saves lives and protects people from health threats. To accomplish this mission, CDC conducts critical science and provides health information that protects the nation against expensive and dangerous health threats, and responds when these arise. CDC Stacks: Publications: Digital library of public health information. CDC Vital Signs: Monthly report includes MMWR Early Release, graphic fact sheet and website, media release, and social media tools. CDC Wonder: Provides access to a wide array of public health information. Chronic Disease & Health Promotion Data & Indicators: Chronic disease data, risk factor indicators and policy measures. CHSI: Community Health Status Indicators: Produces health profiles for all 3,143 counties in the United States. DHDS: Disability & Health Data System: Online source of state-level data on adults with disabilities. Emerging Infectious Diseases: Open access journal published monthly by the CDC. Morbidity & Mortality Weekly Report: CDC’s primary vehicle for scientific publication of timely, reliable, authoritative, accurate, objective, and useful public health information and recommendations. National Environmental Public HealthTracking Network: System of integrated health, exposure, and hazard information and data from a variety of national, state, and city sources. NCHHSTP AtlasPlus: Access data reported to CDC’s National Center for HIV/AIDS, Viral Hepatitis, STD, and TB Prevention (NCHHSTP). Create maps, charts, and detailed reports, and analyze trends and patterns. NIOSH: National Institute for Occupational Safety & Health: NIOSH Data & Statistics Gateway. NPCR: National Program of Cancer Registries: Collects data on cancer occurrence (including the type, extent, and location of the cancer), the type of initial treatment, and outcomes. Preventing Chronic Disease: Peer-reviewed electronic journal which promotes the open exchange of information to improve the health of the public through chronic disease prevention. PHIL: Public Health Image Library: Organized, universal electronic gateway to CDC's pictures. Science Clips: Produced weekly to enhance awareness of emerging scientific knowledge for the public health community. Sortable Risk Factors & Health Indicators: Interactive data set comprised of behavioral risk factors and health indicators. Stephen B. Thacker CDC Library Collection: Information services and products in support of public health research, policy and action. Surveillance Resource Center: Guidance developed by CDC and its partners for improving the practice of public health surveillance. WISQARS: Web-based Injury Statistics Query & Reporting System: Interactive, online database that provides fatal and nonfatal injury, violent death, and cost of injury data from a variety of trusted sources. National Center for Health Statistics ⌨: Mission of NCHS is to provide statistical information that will guide actions and policies to improve the health of the American people. ♦ Health United States: Annual report on trends in health statistics. Healthy People: Healthy People 2010: Final Review GOV DOCS HE 20.6202:P 39: Provides science-based, national goals and objectives with 10-year targets designed to guide national health promotion and disease prevention efforts to improve the health of all people in the U.S.
Centers for Medicare & Medicaid Services ⌨*: Administers Medicare, Medicaid, the Children’s Health Insurance Program (CHIP), and the Health Insurance Marketplace. ♦ Center for Consumer Information & Insurance Oversight: Charged with helping implement many reforms of the Affordable Care Act. to establish new Health Insurance Marketplaces. Food & Drug Administration ⌨: FDA is responsible for protecting the public health by ensuring the safety, efficacy, and security of human and veterinary drugs, biological products, and medical devices; and by ensuring the safety of our nation's food supply, cosmetics, and products that emit radiation. FDA also has responsibility for regulating the manufacturing, marketing, and distribution of tobacco products to protect the public health and to reduce tobacco use by minors. 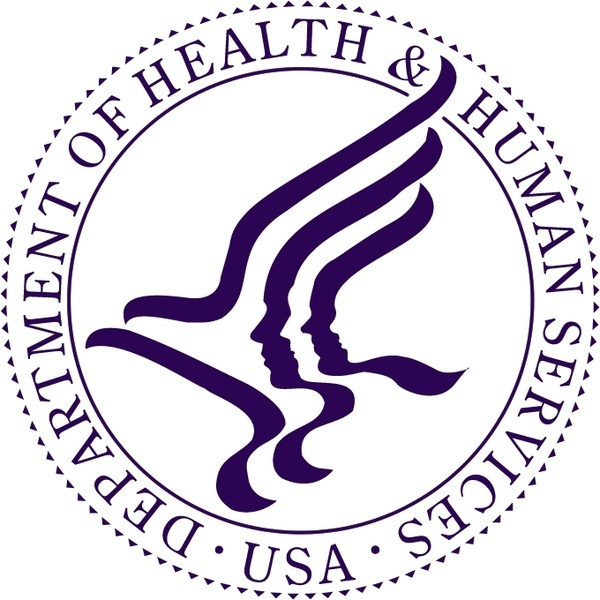 Health Resources & Services Administration ⌨*: Primary Federal agency for improving health care to people who are geographically isolated, economically or medically vulnerable. Helps those in need of high quality primary health care, people living with HIV/AIDS, pregnant women and mothers. Supports the training of health professionals, the distribution of providers to areas where they are needed most and improvements in health care delivery. Oversees organ, bone marrow and cord blood donation. Compensates individuals harmed by vaccination, and maintains databases that protect against health care malpractice, waste, fraud and abuse. Indian Health Service ⌨: IHS is the principal federal health care provider and health advocate for Indian people, and its goal is to raise their health status to the highest possible level. IHS provides a comprehensive health service delivery system for approximately 2.2 million American Indians and Alaska Natives who belong to 567 federally recognized tribes in 36 states. National Institutes of Health ⌨: "The nation's medical research agency...and the largest source of funding for medical research in the world." A productive source of health information, as it is made up of 27 separate institutes and centers, each with its own research focus. National Library of Medicine: "The world's largest medical library. The Library collects materials and provides information and research services in all areas of biomedicine and health care." ♦ Digital Collections: Free online archive of biomedical books and videos. ♦ MedlinePlus: Information about diseases, conditions, and wellness issues. online books. Citations may include links to full-text content from PubMed Central and publisher web sites. ♦ TOXNET: Search databases on toxicology, hazardous chemicals, environmental health & toxic releases. Office of Inspector General: Since its 1976 establishment, the OIG has been at the forefront of the Nation's efforts to fight waste, fraud, and abuse in Medicare, Medicaid and more than 100 other HHS programs. Substance Abuse & Mental Health Services Administration ⌨: leads public health efforts to advance the behavioral health of the nation. SAMHSA's mission is to reduce the impact of substance abuse and mental illness on America's communities. POPLINE: Comprehensive collection of population, family planning and related reproductive health and development literature.